Since Joey started solid foods, I’ve been keeping a running list of foods NOT to feed him. Because of the nutritional value? No. Because of the cost? Nope. Because they take too much time to prep and cook? Think again. It’s because these foods create a HUGE mess when he eats them! Once he moves past the “I’ll take a bite and throw the rest across the room” phase, I’ll surely let him eat them again. Maybe. This type-A clean freak Mom [funny because I have kids, right?!] will forgive her sweet boy… eventually. You’ve probably guessed that quinoa is on “the list.” Those pearly little whole grains find every nook and cranny in my hardwood floor and carpet. I’ve even found them in Joey’s diaper! Because I like the taste of quinoa and the nutritional punch the whole grain punches, I decided there had to be a way to let my right-handed pitcher enjoy it too. And that’s where Three-Cheese Quinoa Bites have saved the day [and my flooring]. 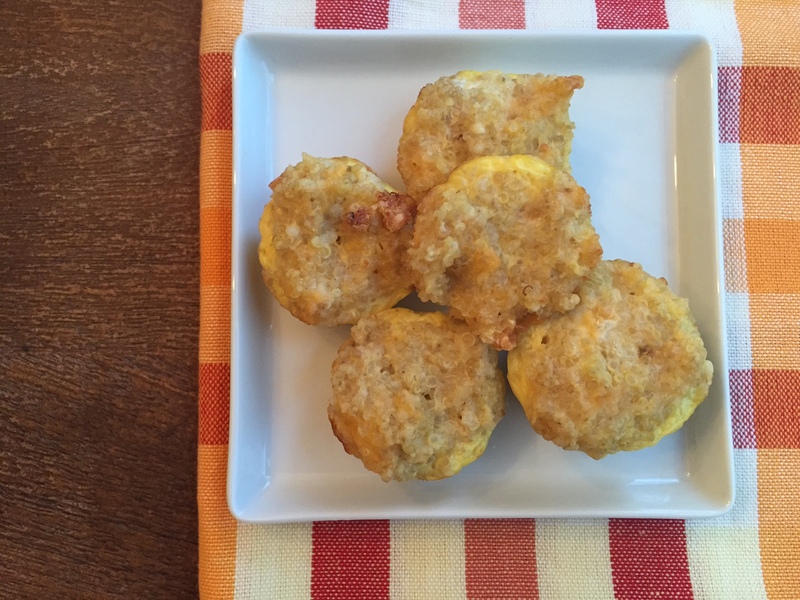 Three-Cheese Quinoa Bites are THE perfect toddler food. They are the right size for dipping, 1-2 bites for eating, and they hold their shape well when thrown. Believe me, I witnessed that one! 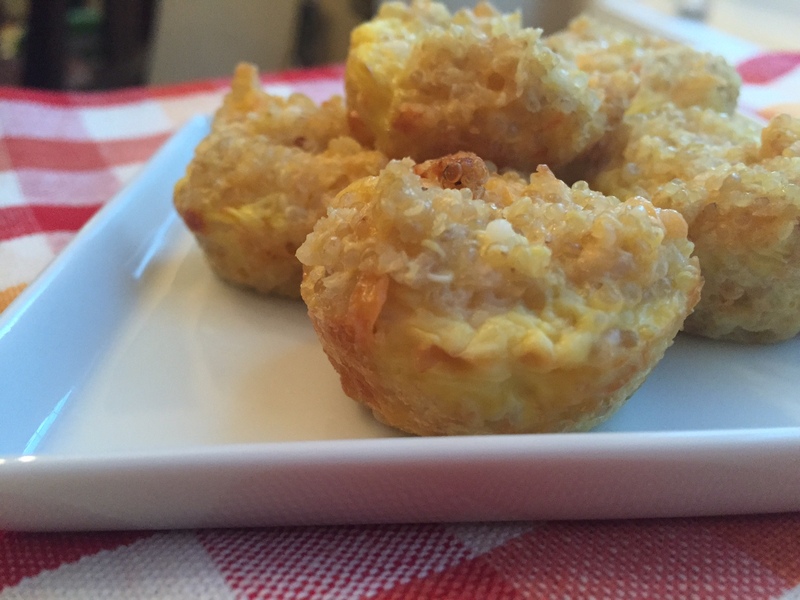 I also consider the three-cheese variation to be the beginning of my culinary exploration with these bites— I can’t wait to create other food and flavor combinations!! To make this recipe even easier, I used fully cooked frozen quinoa from Trader Joe’s. Pop into the microwave for 3 minutes and BAM, you have cooked quinoa! Preheat your oven to 350. Combine all of the ingredients in a mixing bowl. Lightly grease a mini-muffin tin pan. Spoon quinoa mixture into each muffin tin cup, filling each cup to the top [about one heaping tablespoon each]. Bake for 16-18 minutes. Serve immediately with a dipping sauce, such as ketchup or marinara sauce. Store in your refrigerator in an airtight container for up to one week. Store in your freezer for up to 3 months. Reheat in the microwave for 10-15 seconds. What else is on this forbidden foods list? Cornbread. Mexican Wedding Cookies. Coffee Cake. Do you see a theme here? Crumbly foods! 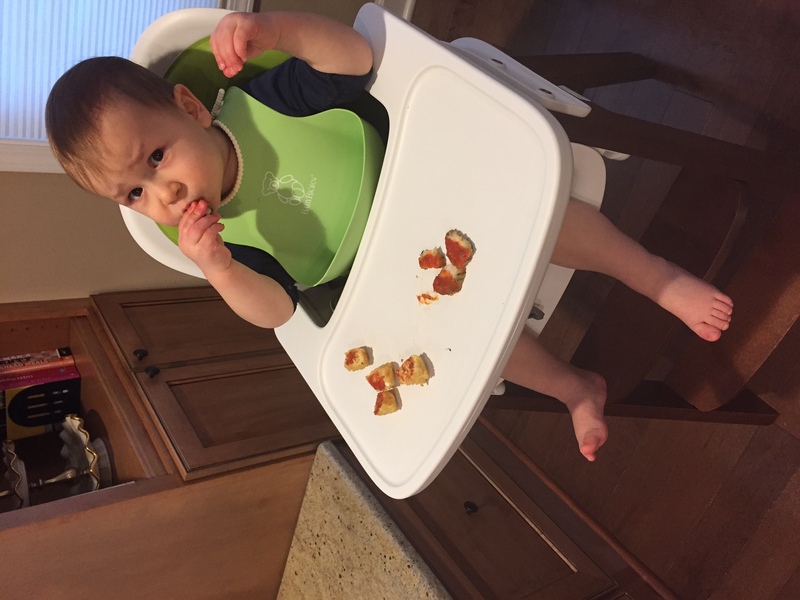 Crumbs… I have nightmares about toddlers, crumbs, and my kitchen! I just pinned these because I am always looking for healthy foods to feed to my picky toddler. I think she will love these. I hope she does Allie! I’m right there with you!! These are perfect, especially for school lunches! These look fabulous! You should stop by the Lavish Lemon Link Up we are having on my blog and share this post! YUMMY! I’ll check it out Amber! Thanks for flagging! Great recipe! 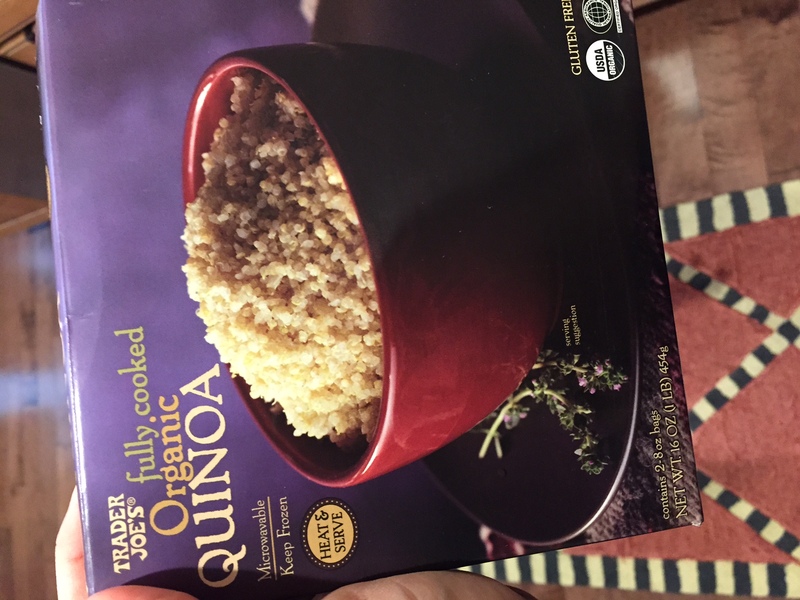 I’ll confess that I’m not sure if I’ve tried quinoa yet, but I do love Trader Joe products. It’s such a convenient product! These are adorable, and sound so easy! Especially with pre-cooked quinoa. Gotta get myself to a TJs soon! I buy it every week!! These look so yummy! Right there with ya on choosing less messy foods. We are in an apartment with carpet under our table which is AWFUL for toddlers to eat on!!! Girl – I’m impressed you only give them clean food!! We make so much of a mess at meal time – lol!! Mealtime = stress time for this neat freak! Ps. He went bananas with farro lol! But at least he ate some! Ha, that story reminds me of what it is like to bake with sprinkles! 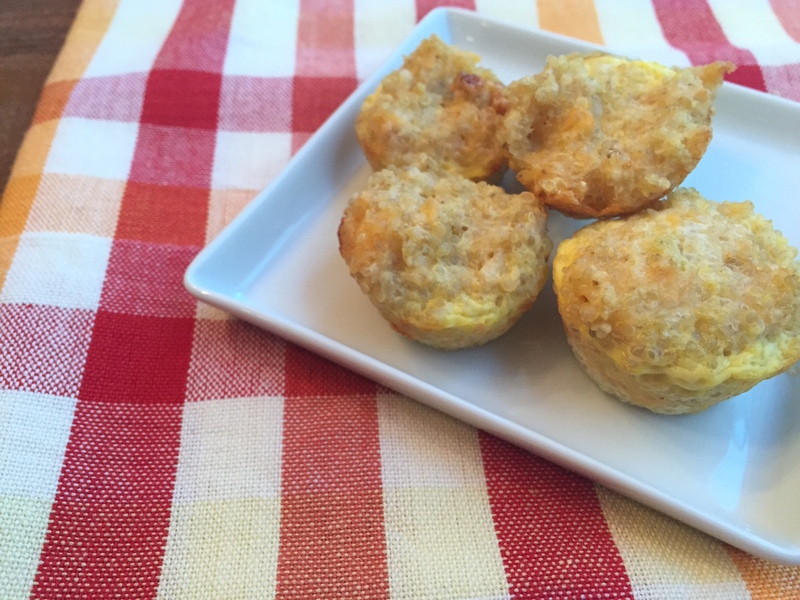 These cheesy quinoa bites are calling my name though! Yes I should add sprinkles to the list!!!! these look awesome! just ran out of quinoa last night – will need to get more! OMG these look SO good (and healthy too)! I bet my daughter would love them. Thanks for sharing the recipe. Thanks Courtney!!! I hope she does! These sound delicious! My mouth is watering looking at these photos! Do you think they would freeze well? I love making big batches to have extras for busy days in the freezer.